Miracast wireless display receiver supports native screen mirroring capability in your Windows and Android devices - no apps or wires required. 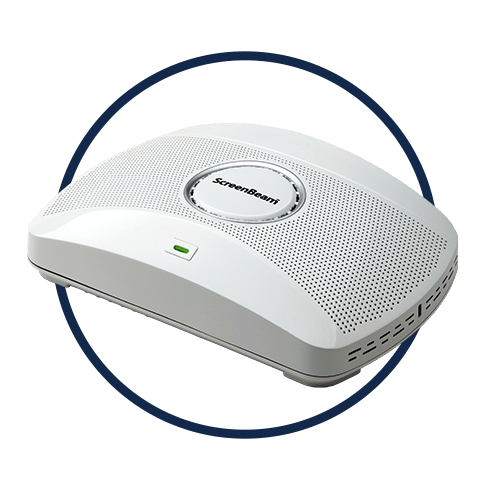 ScreenBeam 750 is a wireless display receiver for educators and business professionals who want trouble-free wireless presenting. ScreenBeam 750 modernizes classrooms and meeting spaces with the latest Miracast wireless display technology for better collaboration and productivity. Eliminating apps and wires enables a fast connection between a Miracast enabled device and room display. Teachers and presenters are free to drive content from anywhere in the room. 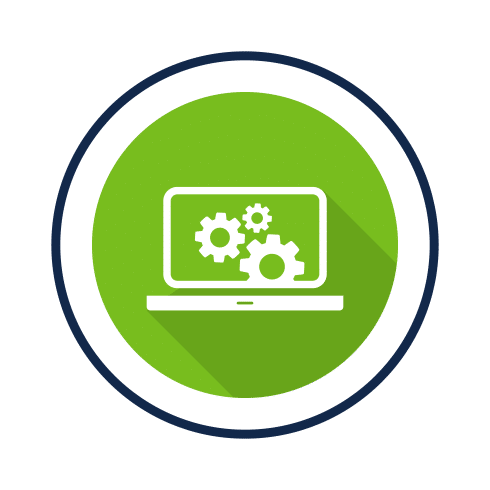 Central Management System (CMS) software is included for remote management of receivers, providing enterprise-class security and manageability that IT departments need. ScreenBeam 750 increases productivity and collaboration by enabling real mobility, interactivity and collaboration in classrooms. No longer are teachers stuck at the front of the classroom with a wired connection from their computer to the display. Teachers are now free to move around the classroom, creating an interactive and collaborative learning environment. The ScreenBeam 750 is ideal for small-to-medium deployments in school districts that seek higher student engagement, collaboration and interactivity. ScreenBeam 750 increases productivity and collaboration by enabling real mobility, interactivity, productivity and collaboration in conference rooms, collaboration spaces and meetings. No more do busy professionals need to scramble around to find the right cable, or shuffle seats to sit near the projector during important meetings. 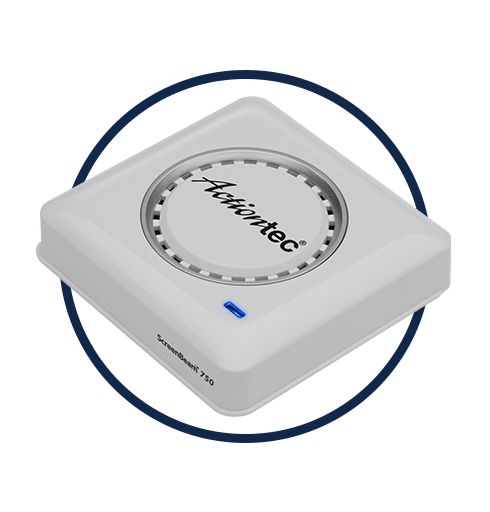 Modern devices wirelessly connect to the display with ease and users may present from anywhere in the room. ScreenBeam Central Management System (CMS) is included with the ScreenBeam 750 with a free perpetual license for the life of the product. 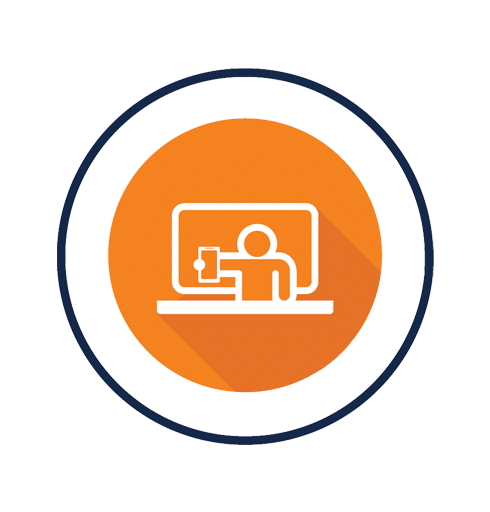 CMS includes a software that enables IT to easily deploy, manage, remotely configure, group, customize, apply policies, and push device firmware updates and all ScreenBeam receivers within the network. With the free ScreenBeam local management console included in the receiver, set up is simple. Users may rename a receiver, manage display ports, or change the PIN pairing password and much more. 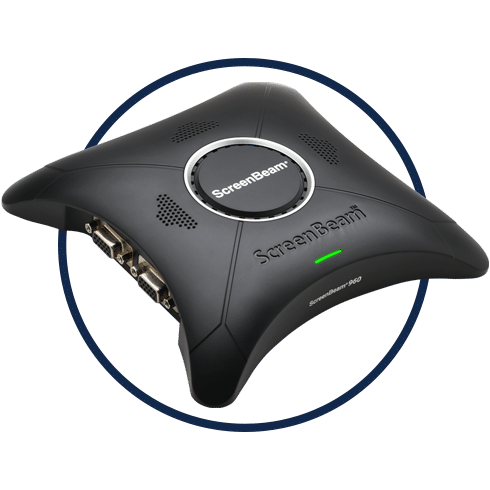 ScreenBeam 750 connects directly to computers, tablets, and mobile devices. Now you can move heavy video traffic off the network, saving valuable bandwidth. The dedicated connection means users will not worry about crashing, lag times, and choppy or freezing video, which saves precious time. ScreenBeam 750 features robust performance that delivers professional display quality and very low latency. 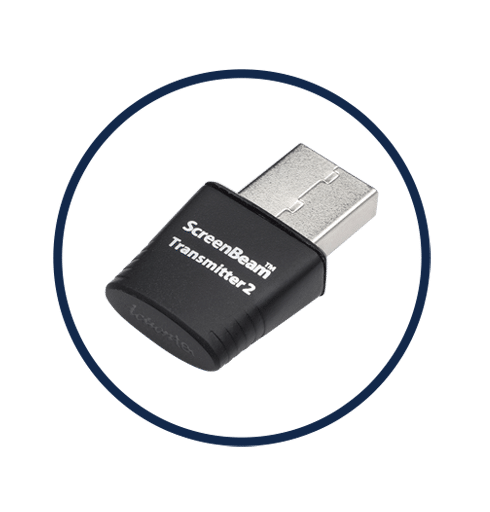 ScreenBeam 750 is optimized for Windows 10, Windows 8.1, and Android 4.2+ devices that support the Wi-Fi Miracast standard. 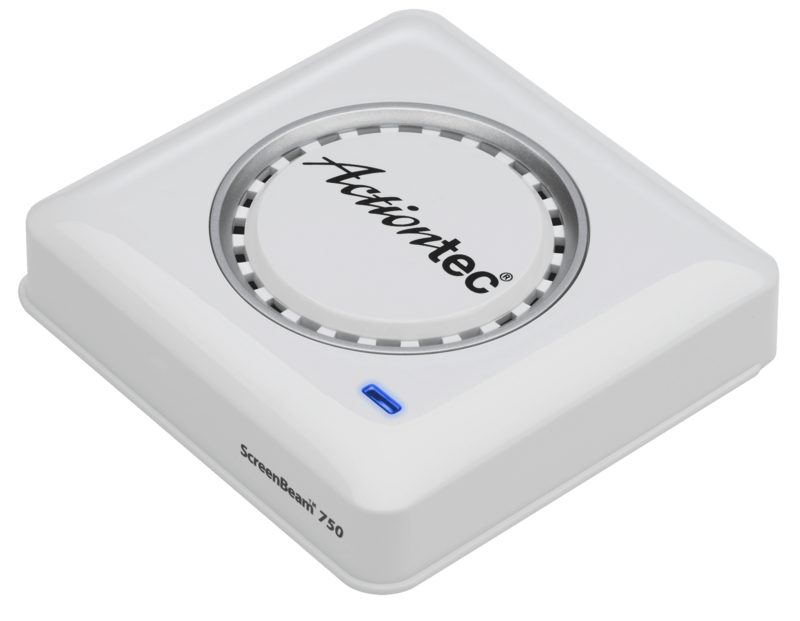 For non-Miracast devices, Actiontec offers the ScreenBeam USB Transmitter and software for Windows 7/8 systems.